It's ALL about the water & the view & it just doesn't get better than this! One of the best lots on the South end! Big water views but the Dock is tucked into a little cove so it's also protected. Buford location but Hall County taxes because the County line cuts through the peninsula. Master on the main, 3 fireplaces, Finished Terrace level, 2 Decks, screened porch and Gazebo. Single slip Dock w/Party Deck that can be upgraded to a Double Slip. 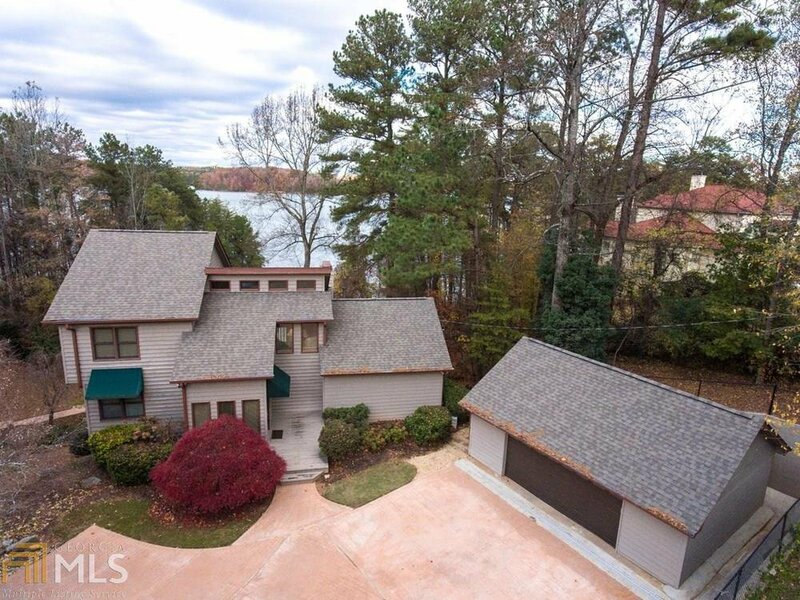 You can see all the way to the bridge that goes to Lake Lanier Islands from your Living Rm & Kitchen! Just gorgeous! Listing courtesy of Re/Max Center. Selling Office: Solid Source Realty Inc..